This lovely flower basket is fully covered in ivory fabric. The edges of the basket have embroided flowers and each flower has a faux pearl in the centre. 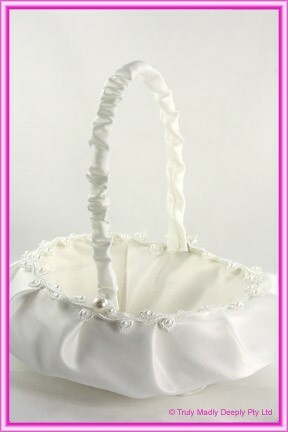 This wedding flower basket also features a folding handle with a pearl at the bases of the handle.